As many policies work best if combined into policy packages the EPBD sets focus on a holistic policy approach and in addition it introduces some complementing policies via additional articles on finance and information. The policies supporting the implementation of EPBD central articles address minimum requirements in new and existing buildings, energy performance certification and recommended cost effective measures, cross-linking of certification and inspections, as well as financial incentives for major renovation of existing buildings and for construction of early NZEBs. 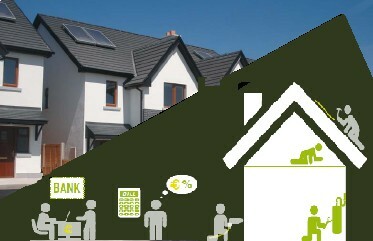 Information as an important EPBD policy focuses owners and tenants of buildings in order to better understand and benefit from the energy performance certificates and inspection reports, use cost-effective ways to improve buildings energy performance of the buildings, and have better access to financial instruments. In addition, the countries have to develop effective guidance and trainings for all core stakeholders of EPBD implementation. Article 10 on Financial measures. Article 13 on the Display of Certificates. It is also focused on the integration of Certification and Inspection in articles 11 -16 in a general and holistic policy package covering the buildings. The work of Cross-cutting Team 2 will focus on non-technical elements of implementation such as policy and set up of systems as well as the combination of policies into an overall policy package. Policy packages will focus work on implementation, requirements and incentives. The team will work on further exchange of MSs’ experience on the energy performance certification, more in detail on the display of certificates in public buildings and on the support, recommended measures in certificates may offer when the renovation of an existing building is planned. The scope of the activities under this cross-cutting team is also the implementation of an effective link between certification and inspection. More themes and working groups on policy and implementation will be agreed during the CA meetings and in collaboration with other Core Teams.